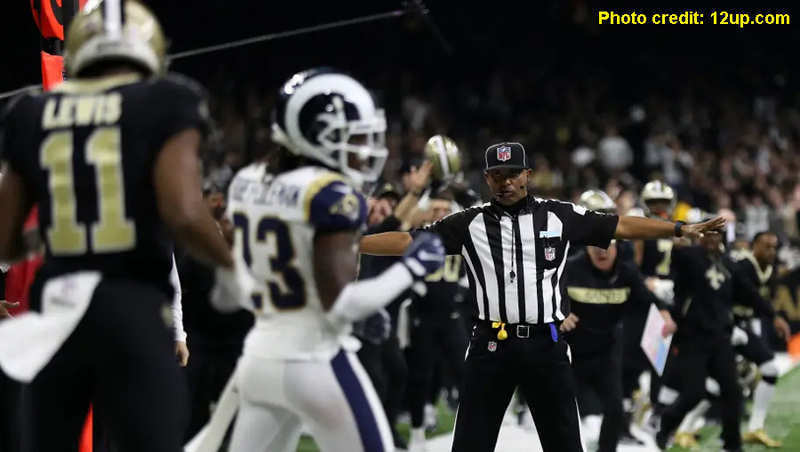 The latest development in the Saints no-call drama involves Roger Goodell, who sat on the sidelines for over a week for some inexplicable reason before emerging yesterday. And yes, we intended for our last post to be the final one about this situation but this story seems to have legs that aren’t going away for a while, hence our continuing coverage. Our speculation is that Goodell’s absence from the spotlight was a tactic on his part to see if everything would just blow over and he could avoid any further involvement with this mess. Obviously this didn’t happen so he’s been forced to make a public statement. So what did he do? Shuck and jive and avoid the real issue just as the NFL has done from the beginning. This is total BS of course. Not the part about nobody wanting it because they really don’t. After all, how are you going to try to overturn judgment calls? You really can’t. It would make a mess of the game and overcomplicate an already complex situation. The BS part is that they’re still not asking the real question that needs to be asked. That is WHY DIDN’T THE KNUCKLEHEADS THROW A FLAG? There are, in my opinion, only two reasons why they would not have thrown a flag on that play. Number on is that they didn’t see it. We know they saw it. They were right there staring at it. Number two is that they didn’t think it was a penalty. If you’ve seen the play and the replay you know, as I do, that Robey-Coleman hit Lewis way early and in the head. Both of those actions are deserving of a flag. The NFL has even admitted it. Robey-Coleman said himself it was a penalty. So why no flag? What went through these guys heads to make them both not throw a flag? And here’s what’s even more interesting. You would think that at least one of them would have thrown one. They must have seen what the rest of the world saw, right? And yet neither of them did. To me, this just stinks. You would have thrown a flag, I would have and probably 99.9% of people out there would have. It just looked bad whether it ultimately would have been upheld as a penalty on replay or not. You could never have been criticized for throwing a flag on that play. Never. So why didn’t they? We’ll never know because the NFL will never go there. The referees are sacrosanct in the NFL. They can do no wrong. Until they do, of course, and the NFL has to admit that they were wrong. But what happens after that? Nothing. I wouldn’t let any of these seven dipsticks on an NFL field again. Neither would most people but we don’t run the NFL. The gray men in suits do and those refs will never be asked the one question that everyone wants answered. Why no flag?